It’s November 1843, and Charles Dickens is a man besieged. His latest serial, Martin Chuzzlewit, isn’t selling, and his wife and children expect a splendid Christmas, with expensive decorations and gifts. Other family members, reliant on his generosity, need him to pay their bills. Citing a clause in his contract, his publisher demands he write a Christmas-themed book to satisfy his fans, but time is pressing. And how can he get in the holiday mood when it’s so unseasonably warm? Bah, humbug! Frustrated yet determined, Dickens embarks on a quest that takes him back to his old haunts and introduces him to a beautiful young seamstress who motivates him. Making her debut, Silva creatively imagines the circumstances that inspired A Christmas Carol. 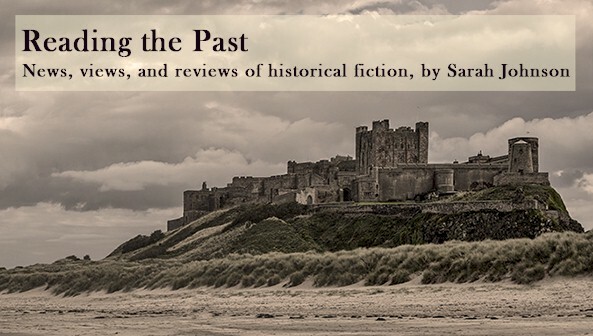 The characters and atmosphere of Victorian London feel wonderfully Dickensian, and it’s fun to see Dickens gathering new material through his interactions. His writerly dilemmas should resonate with literary types, too. With the wit and sprightly tone of a classic storyteller, Silva presents a heartwarming tale of friendship and renewal that’s imbued with the true Christmas spirit. 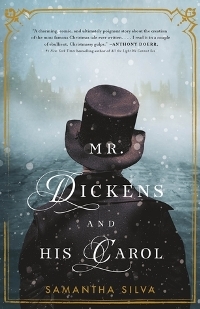 Mr. Dickens and His Carol was published by Flatiron in November; I wrote this review for the 10/1 issue of Booklist. This is my 3rd and final Christmas review for the season - I've read more of these this year than usual. A note that this isn't the same story as in the film The Man Who Invented Christmas (which I haven't yet seen but hope to catch over the break), although the premise is similar. I am very much hoping to read this book this holiday season, as I haven't yet had a chance to read anything holiday-themed! I am really intrigued by the premise, so I'm glad to see your review here--it only make me want to pick it up more. Great review! There's still 10 days until Christmas to read it! :) Actually, it's a good read at any time of year. I actually read it back in July. Thanks, glad you liked the review! I would describe the similarities of premise as spooky. It's a good movie, by the way. And if you see a similar (but longer) comment under my Google account, apologies. From my end it appears to have been lost. Google's inability to handle commenting was one of the major factors in my decision to give up blogging. I had just left a long comment and then my ever-reliable (not) internet connection at home went down. Argh. Unfortunately, your earlier comment does appear to have vanished... sorry. It's a shame Google doesn't handle comments well - guess it's not high priority for them. I enjoyed reading your blog, too. Is WordPress any better that way? I missed the chance to see the film in the theatre. The closest one that's offering it now is 90 miles away. I added it to my DVD queue, and who knows when it will show up that way. Maybe by next Christmas! In the book, the subplot relating to the seamstress is probably a major point where it and the film differ. If that's also in the film, that would be seriously spooky. I've just read this book, loved it!! Glad you also enjoyed it! I just sent a glowing review in to Amazon where I purchased this book. I am halfway through it and thoroughly enjoying it. It reads like a non fiction and the characters are wonderful! Great! The story behind the creation of A Christmas Carol wasn't one I knew before reading the book. Sounds like great fun! I must see if it's avIlable on iBooks. Thanks for your review, Sarah! I entered a giveaway for this book, but I don't think I'm getting it — but still eager to read it. Here's a link to my review — illustrated! Thanks for the link to your review, Lisa! I'll go check it out. It's also interesting to hear how the movie handles some plot points (the book is different in those respects). Hope you'll get the opportunity to read it at some point!